Another Victory for AIA Pennsylvania and Solar Energy! Additionally, the Governor announced yesterday that the Commonwealth Finance Authority will be opening a new grant program for solar energy and development. “I am thrilled to announce a new program to help ensure that Pennsylvania is on the cutting edge of clean energy innovation,” said Governor Wolf. 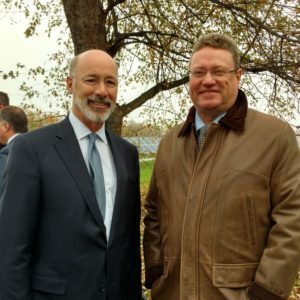 “The new Solar Energy Program will continue to advance Pennsylvania’s role as a leader in renewable energy, while supporting the development of our state’s clean energy economy.” Learn how you can take advantage of this great opportunity here.